Hey y’all! Mandee from The Kitchen Wife again! Can we just have a SHOUT for the fact that the warmer weather is FINALLY starting to set in? For me this means time around the fire pit with friends and loved ones, lazy Sunday afternoons in my hammock, and long porch sits. 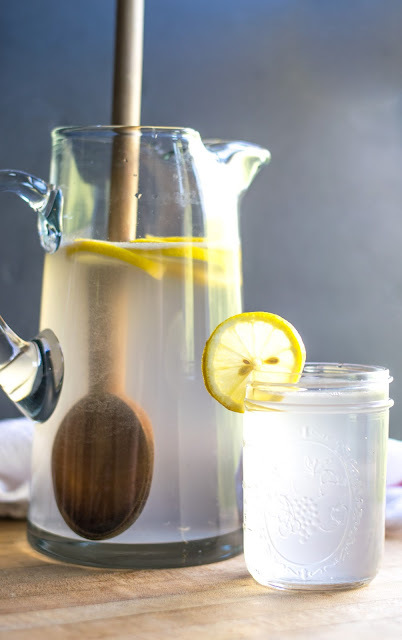 And today I am so excited to share the PERFECT beverage for all of these occasions, my Coconut Lavender Lemonade. A friend of mine shared this recipe with my a couple years ago and it has been a seasonal favorite ever since. You, your family, and friends are going to love this light, sweet, and tart treat so let’s get started! To begin you will need to make a lavender simple syrup. This will both sweeten your lemonade, and flavor it. Simply combine 2 cups of sugar with two cups of water. Bring it to a boil, and stir until the sugar dissolves. Next add the dried lavender, and allow it to steep for 20 minutes. If you are wondering where to find the dried lavender, you can find it in most health food or specialty stores. 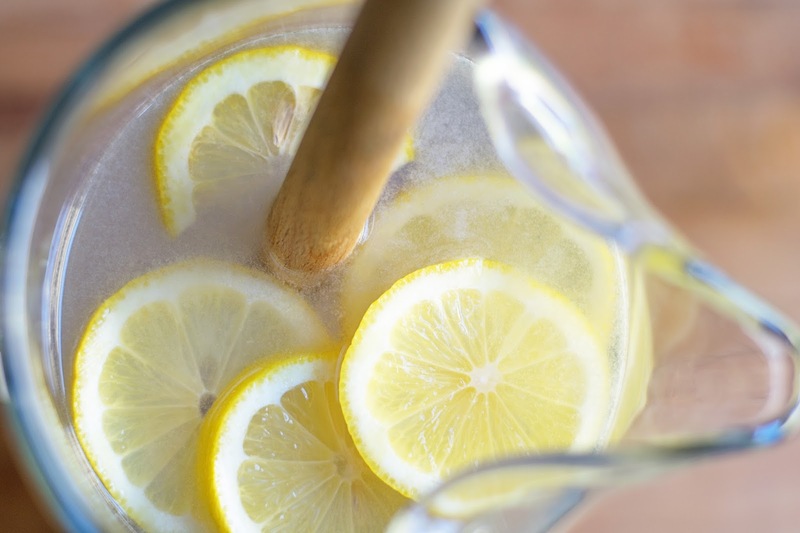 While the lavender is steeping in the simple syrup you can combine the juice of 10 lemons with 8 cups of coconut water. If your coconut water comes with the pulp in it, you will need to strain it out. Once the lavender is finished steeping strain the dried lavender from the simple syrup. Add 1 drop of red food coloring and 1 drop of blue food coloring. 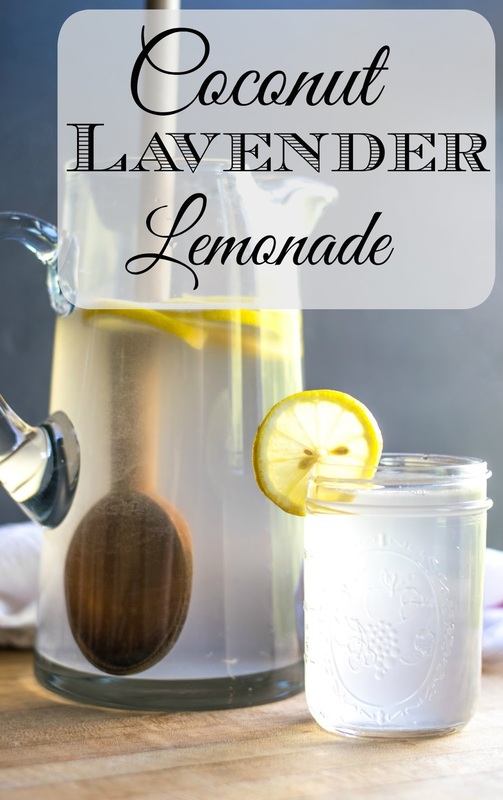 This will give your lemonade that lovely lavender color. Now add it to the coconut water and lemon juice. 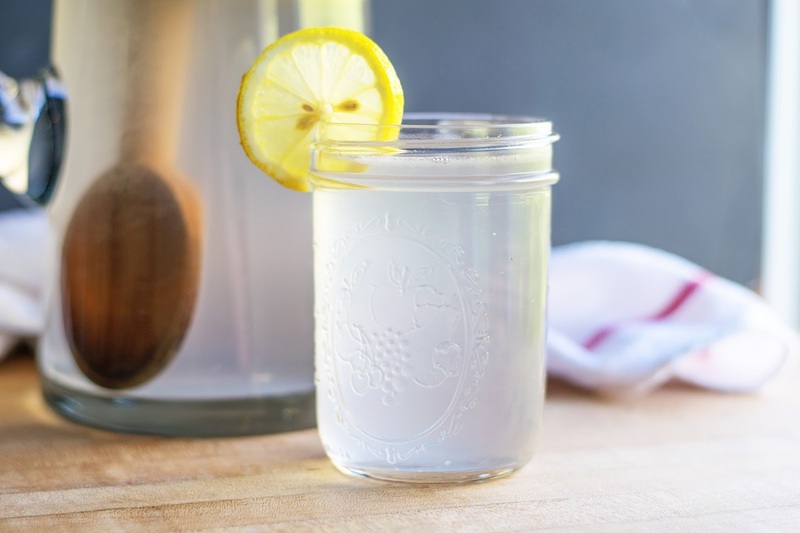 Summer is all about making memories outdoors and this Coconut Lavender Lemonade is the perfect for when everyone is together. I would love to hear about all the ways you make special summer memories, and get in the kitchen and give this Coconut Lavender Lemonade a try tonight! Combine the sugar and water in a sauce pan. Bring to a boil and stir until the sugar dissolves completely. Add the lavender to the simple syrup, remove from heat, cover, and let steep for 20 minutes. In a pitcher, combine the coconut water and lemon juice. Once the lavender simple syrup has finished steeping, strain the lavender out and add the red and blue food coloring. This should make the lavender simple syrup purple. Add the lavender simple syrup to the pitcher with the coconut water and the lemon juice. Add slices of lemons for garnish.